Are you a fan Cheryl Strayed’s book WILD? If so, you may remember a portion in which Cheryl raged over (and then reconciled with) what would have been her deceased mother’s 50th birthday. This scene occurred in the Sky Lakes Wilderness. 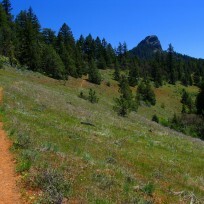 This rolling out-and-back day-hike in the Sky Lakes Wilderness of Southern Oregon starts from the Summit Trailhead off Highway 140. Structure your walk to be as long or as short as your time and energy permits. We were hiking with small children (ages 5 and 9) so we chose to spend the morning covering just 2.5 miles each way for a total of 5 miles. But no matter your distance, you’ll enjoy the shade and scent of the Sky Lakes Wilderness’ Shasta red fir and western white pine; the raucous cry of the Steller’s Jay; and the antics of the golden-mantled ground squirrel. 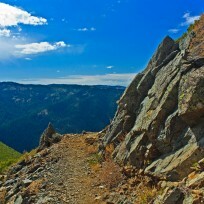 It’s an easy quarter-mile walk from the parking lot along a pleasing access trail to the Pacific Crest Trail and signs clearly mark your route. Shortly after leaving the trailhead you’ll cross a wooden bridge and meander along clear, cold, burbling Cascade Canal and traverse a rocky lava flow. Both are great stops to allow kids the freedom to float quickly assembled boats, climb logs, and hop rocks. As you continue on, there are many amply sized downed trees for rest and snack stops – and balancing acts by any children hikers you might bring along. Cones litter the forest floor and our youngsters whiled away the miles by tossing them at trees (“targets”) and, occasionally, at each other. 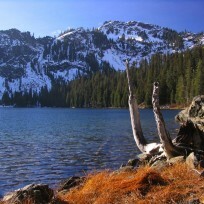 The summer recreation season in the Sky Lakes Wilderness usually begins in late June and ends when the snow begins to fall in October. Summer temperatures range from highs in the 80’s to lows below freezing. Be sure to check local weather before setting out. Make a mini-vacation out of it and camp or rent a little cabin at nearby Lake of the Woods Mountain Lodge and Resort. Beautiful Lake of the Woods is great for swimming and boating and is a fun base for day hikes. 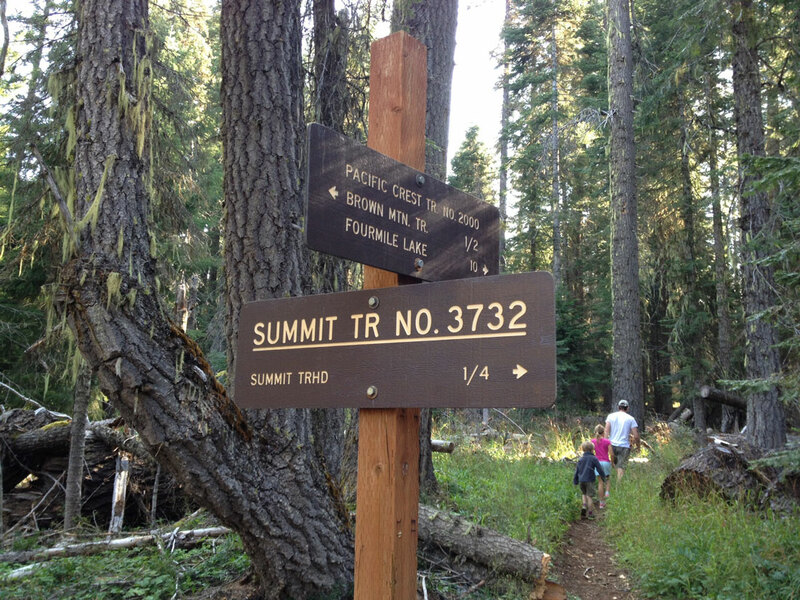 The Summit Trailhead with its PCT access is just a 5-minute drive away. More economical camping may also be found at equally close (but less scenic) Fish Lake resort or Fish Lake Forest Service campground. Both are off Highway 140 about 35 miles west of Klamath Falls, Oregon. 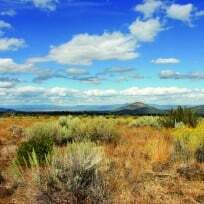 From Klamath Falls, Oregon, head west on US Highway 140 approximately 35 miles and look for the Summit Trailhead turnoff on your right. It will then be a quick left into the parking lot where there is a toilet. 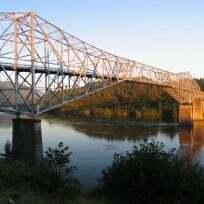 From Medford, Oregon, head east on US Highway 140 approximately 40 miles and look for the Summit Trailhead turnoff on your left. No fee or pass required May through November for day hikers. 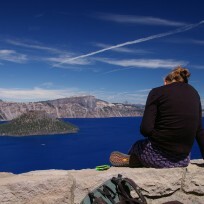 Angela Ballard thru-hiked the PCT in 2000 with her husband Duffy Ballard. They are authors of an award-winning book about their PCT adventures called A Blistered Kind of Love (The Mountaineers Books, 2003). 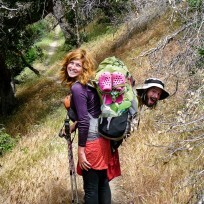 Angela has also shared her love of the PCT writing for the Forest Service’s PCT map series.